In France there is a storm in the brew like a Japanese Tea Pot handled by a Zulu fighter or a heavy handed French Politician. A decree in France to ban Muslim women from wearing certain attire on the beach has swamped the world by debates and arguments on women (all women) freedom. Well, good luck….. It is a political swamp and our ladies will not let go of any inch of liberties they fought hard for centuries to regain. The “Burkini Gate” is not about that poor Muslim woman surrounded by four French Police-Men getting her to abide by a ban on certain attire “The Burkini”. The matter touches the core of women freedom to wear and move and act in total freedom as a man can. Discrimination comes in multi colours and can sneak in through multiple facets. By discrimination I do not mean religious discrimination. Racial discrimination against women is the true hot air carrying the dress like Aladin’s magic carpet into a blinding sand storm. 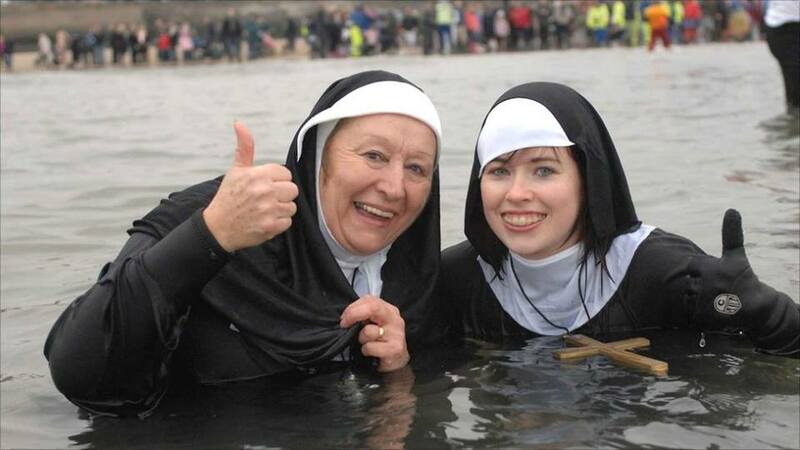 Now, France’s State Council (Conseil d’État) France’s highest administrative court decided today Friday 26 Aug 2016, to overturn the ban on wearing the full-body burkini swimsuit, which has sparked controversy at home and abroad. 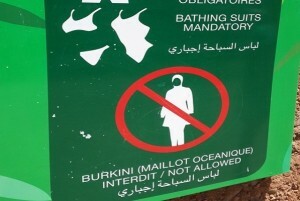 The State Council heard arguments yesterday Thursday from the Human Rights League and an anti-Islamophobia group who are seeking to reverse a decision by the southern town of Villeneuve-Loubet to ban the Islamic swimsuit. The ruling is likely to set a precedent for around 30 French towns which have banned the burkini, mostly along the sun-drenched southeast coast. On the other hand, a lower court in the Riviera resort of Nice upheld the ban this week and the Mayor of Villeneuve Loubet came out today to declare that he will still ban Burkini on the beaches of his town. The matter becomes more comical as in countries such as Morocco and Egypt’s top resorts and social clubs, the Burkini is banned from swimming pools and certain elite society Public Beaches on the North Coast of Egypt. As a lawyer, I have seen court cases of families owning multi million dollars worth of villas and homes against the management of resorts near Alexandria for not allowing women to swim in Burkini. Egypt is a Muslim country that prides itself of defeating the Muslim Brotherhood and eliminating terrorism. So, where does all this end? I guess courts and women of the world will have the final word.